National University NU Degree 1st Year (Private) admission notice 2016. Degree (Pass course) BA/BSS/BBS certificate course registration is going on. Online Registration and apply via NU official website www.nubd.info/degree-pass. NU Degree 1st Year (Private) online registration started on 20 July and deadline is 21 August 2016. NU Degree 1st year (Pass) B.A/ B.S.S / B.B.S private certificate course who wants to registration for this course, NU authority are requested to apply online by 21 August 2016. 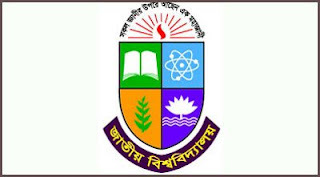 Bangladeshi Nationality who passed HSC before 2015 from any recognised education board or equivalent exam, or GCE “O” level 3 subject and “A” leve; 2 subject passed. Those students who passed Alim before 2015 from Madrasa Board can apply for Degree (Private) course. Alim passed student who passed before 1988 from Madrasa Education Board could not Registration. Private student only can attend those subjects which selected during registration. Subject could not be changed at any cost. Student could not select those subject which has practical exam or field work in Degree (Private) 1st year. So if your interested to read Degree as Private course then don’t delay to registration. Many of the students can read under National University Degree program as become a graduate. More information about Admission, Result, and jobs you can get on this site as well. So visit our site www.bdresults24.net often. That is all about National University Degree (Pass course) 1st year admission 2016, Online apply or Registration for the Private certificate course. More information visit www.nu.edu.bd or www.nubd.info/degree-pass.